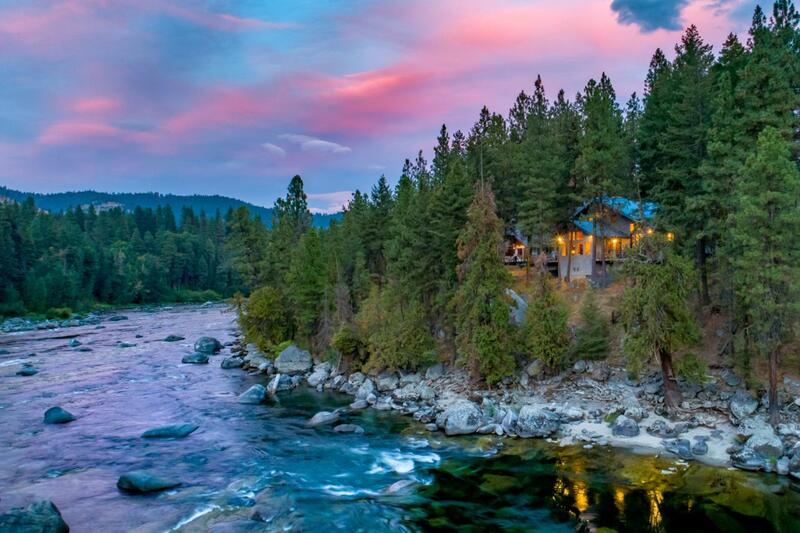 Discover this local architect's personal haven set on 160 feet of gorgeous Wenatchee riverfront within walking distance of our Bavarian village. The inspiring 2700+ sq. ft. main home artfully weaves spacious living spaces, rich woodwork & a contemporary esthetic with soothing river views. Entertainers will revel in the massive retro kitchen, the inviting living room with stunning river rock fireplace, open dining concept & library/media room. The thoughtful master loft suite showcases terrific built-in cabinetry, a light filled bath & sunken tub. Two sundecks soak in the sights and sounds of the rushing river. Separate guest apartment over the detached garage provides the potential for an Air B&B, monthly rental or caretakers quarters. A forerunning modern jewel awaits it new owner! Listing provided courtesy of Lynn Stoddard of Bhhs - Leavenworth Properties, Inc..